Environmental activist Niloufar Bayani announced that she had been beaten and brutalized, threatened and tortured on numerous occasions by the Revolutionary Guards agents during her year-long detention in an IRGC jail, and was forced to make false confessions against herself. She made the testimony during her second trial session headed by judge Salavati on Saturday, February 2, 2019. Bayani and seven other Iranian environmental activists accused of spying appeared in a Tehran court on January 30 for a closed-door trial, local media report. Part of the 300-page indictment was read to defendants Houman Jowkar, Taher Ghadirian, Morad Tahbaz, Sepideh Kashani, Niloufar Bayani, Amir Hossein Khaleghi, Sam Rajabi and Abdolreza Kouhpayeh in their closed-door trial, at Branch 15 of the Revolutionary Court presided by Judge Abolqasem Salavati. During the court session, Niloufar Yayani interrupted several times and objected that her ‘confessions’ had become the basis for the trial. Four of the Iranian environmental activists were charged last year with “sowing corruption on Earth,” a charge that can carry the death sentence in Iran. Three other activists are accused of espionage and the last one has been charged with “conspiracy against national security,” IRNA reported. 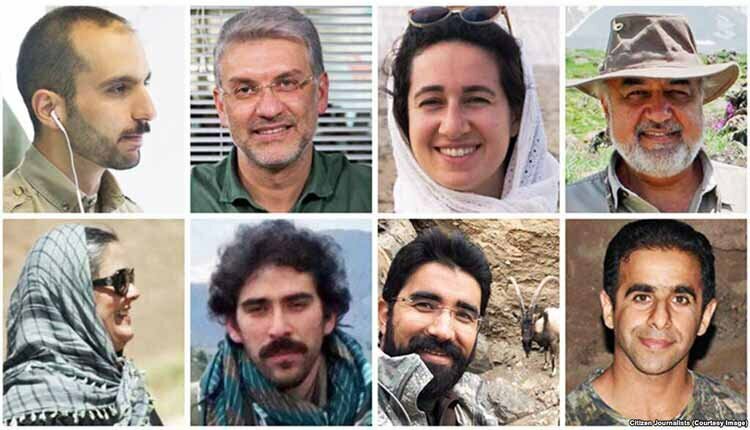 The Revolutionary Guards arrested the environmentalists, who are all members of a local environmental group, the Persian Wildlife Heritage Foundation, on January 24th and 25th. Abbas Jafari Dolatabadi, the Tehran prosecutor, told reporters on February 13th that detained activists are accused of using environmental projects as a cover to collect classified strategic information. However, the Foundation claims to only work to conserve and protect the flora and fauna in Iran. Until today, the environmentalists’ cases had been shrouded in secrecy other than occasional accusations or comments by judicial officials published by state media outlets. They have not been given access to lawyers of their choice or have had a trial date set. Family members said on social media late in September 2018 that they were told by judicial authorities that the detained environmentalists can only be represented by lawyers from a pre-approved list of 20 that the judiciary had published in June 2018. According to reports all of the detainees had been subjected to prolonged periods of solitary confinement and denied phone calls with family members. Niloufar Bayani was a student of biology at McGill university before she was sentenced to jail in Iran. Bayani graduated in 2009 and later worked for the United Nations Environment Programme. Nearly a year ago, when she went to Iran to do environmental work, the former resident of Montreal and Toronto was arrested and accused of espionage, and has been in Evin prison, outside Tehran, since then. According to Lapalme, Bayani environmental field work included the study of zebra mussels in Montreal and researching marine life in Belize. She went to Iran to do field work with the Persian Wildlife Heritage Foundation, where she set up camera traps to track Asiatic cheetahs, an endangered species in Iran. For this, Iranian authorities accused Bayani of spying. She was charged with “sowing corruption on Earth,” for which she has not yet had a trial, and could face the death penalty. “The kind of work that we can practice freely and that is appreciated here, it’s work that’s being criminalized now in Iran,” Lapalme said. The publication of the letter is “certainly something that buoys us and gives us hope,” to Bayani’s friends and family.